Finding a good pair of weightlifting shoes can be hard enough. But if you have wide feet, it will be even more difficult. Our guide covers the best weightlifting shoes for wide feet. We have covered the top 5 CrossFit shoes to give you the required stability and support for weightlifting while also being lightweight and flexible for climbing, jumping and running. 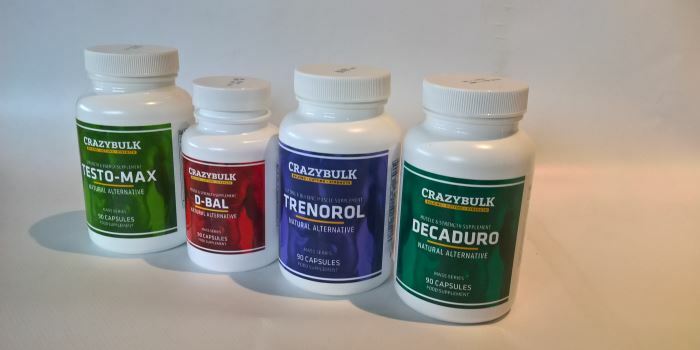 Crazy bulk supplements are all over the internet at the moment. We tested them out to see if their products actually work or are a scam. Burning off the fat to reveal your abs can be difficult to say the least. Most professional bodybuilders use some sort of supplement to help. If you want something to help you in getting ripped and shredded abs, check out this guide. Did you know that there are shoes designed specifically for CrossFit? With so many sports shoes available today, you can find out which are perfect for the sport. Weighted vests are great to add more resistance to you workouts. But for a ladies, it may be difficult to find one that suits your. We have found the top weight vests for women in our weighted vest guide. If you've been hitting the weights hard, you have likely noticed that sore hands are part of it. But it doesn't have to be that way! A good pair of gym gloves could be the answer to your problems.